Enjoy the warmer days with one of our award-winning Chardonnays! 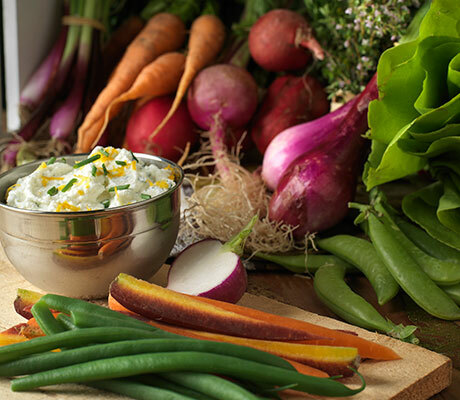 For an appitizer that will be a favorite, enjoy this lemon herb ricotta dip paired with any of our Chardonnays. Access to benefits like shipping fees included on wine orders, complimentary wine tastings and more. 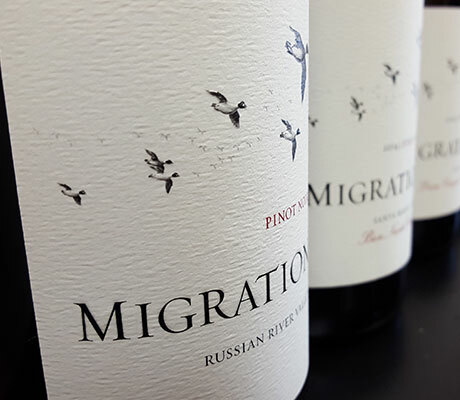 Learn the history of Migration and our exploration of cool climate wines. 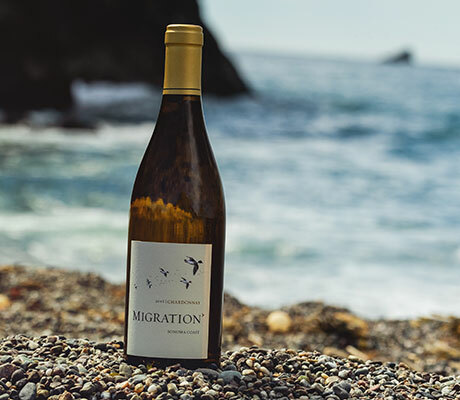 This collection of Migration Winemaker Neil Bernardi's 'Notes' is almost as close as you can get to experiencing the 2013 Sonoma County Wine Harvest! (You know, without actually participating yourself...) We hope you enjoy! The rain has come and gone, thankfully followed by a strong wind and warmer temperatures. After inspecting quite a few vineyards with Jerry Chong, our illustrious Grower Relations manager, it appears that we dodged a bullet in most cases. The forecast is predicting good temperatures, no precipitation, and a potential heat up at the end of next week. In the winery, things are starting to reach the end of fermentation, and can be pressed and put to barrel, freeing up tank space for the next round of fruit. Check out the forecast below indicating potential precipitation over the next few days. As you can imagine, this is not exactly a dream scenario, considering the amount of Chardonnay and other varietals we have in the field. On the positive side, it is only a day or two of potential rain, followed by cool days, and the potential for an ‘Indian Summer’ event in early October. The good news is we already have a lot of fruit (60% plus) in the barn, and quality is high. 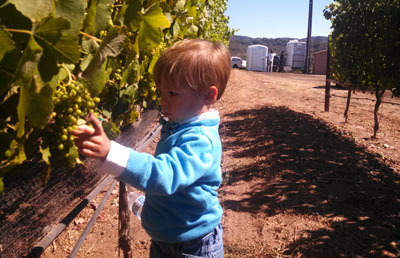 This is my son Lucca, helping me test grapes at Bien Nacido in Santa Maria. He was munching the green berries and thought they were ready to go, apparently I have been letting things hang a bit too long. The press has got to be one of the coolest pieces of equipment in the winery. These things are workhorses, and are the focal points of many actions in the winery. 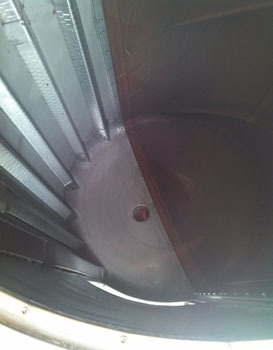 While there are a few different types of press (basket, bladder, membrane, bucket) the idea is more or less the same: separate the liquid from the solid. In the case of whites and rose wines, that means squeezing the fresh fruit until most of the juice is collected in a tank. In the case of red fermentations, that means pressing the fermented skins until most of the wine is and collected. The unit pictured above is a membrane press, and really it is pretty simple. First you fill the press with grapes. Next the brown PVC material on the right hand side inflates, pressing the grapes against the drain channels on the left hand side. Voila, juice should be pouring out at this point! 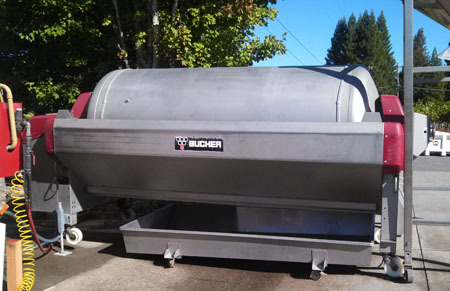 The type of press, how you operate it, and how clean you keep it can all make a big difference in the resultant wine or juice, so we usually spend a lot of time dialing them in. 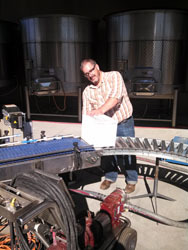 If you have ever visited one of our wineries, you probably noticed a sorting line, much like the one pictured below. 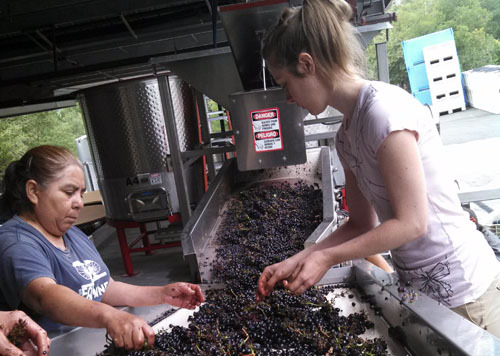 What are we sorting out that makes such a difference in the finished wine? For starters, we want to make sure that there is no MOG getting into the fermentation tank. MOG, or material other than grape, can take a lot of shapes – leaves, canes, rocks, lizards, all things that don’t make wine delicious. Perhaps more importantly from a quantity standpoint, we are also looking for unripe grapes and rot that may have been missed in the field. From my perspective, removing these two items is key. 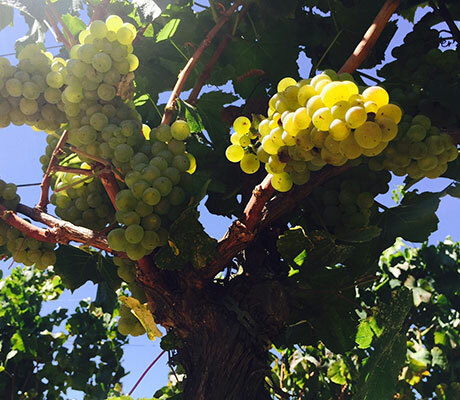 Unripe grapes tend to have grippy, immature tannins and higher malic acid, a combination that detracts from overall quantity. As mentioned before, rotten clusters can contribute musty flavors as well as oxidative enzymes. Removing as many of these clusters as possible makes the difference between a good and a great wine. 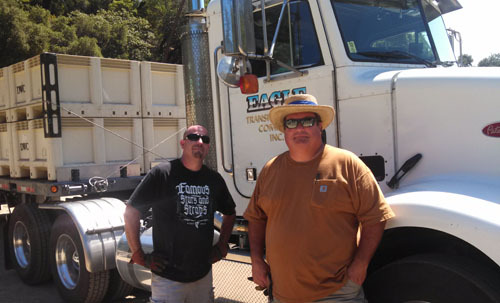 The gentlemen pictured above are two standouts of the profession, Kevin and Kurt, who work for Eagle Transportation. They are doing the hauling of all the fruit from our Ridgeline Vineyard to our winery, and are excellent at what they do. We started harvest at our Ridgeline Estate vineyard today in earnest, a full 15 days earlier than last year, with block 40, an extremely steep southerly facing gravel slope that would get a begrudging nod of approval from the Cote Rotie. This is typically our first pick off the ranch and, due likely to the extremely low yields, makes wines of incredible intensity and depth. The Ridgeline vineyard is the cornerstone of the Decoy Cab, Merlot, and Red wine bottlings. Winemaker Don LaBorde has a veritable treasure trove of individual soil, rootstock, and site combinations to work with, adding nuance to his already formidable stable of vineyards. This ranch usually ripens over the course of ten days to two weeks, giving us a chance to harvest a small amount per day, as we are limited by the steep slopes and small staging areas. This aerial shot gives a good sense of the terrain. Over the course of the harvest season, after countless hours of loading presses, lugging hoses, visiting vineyards, and tasting juice samples til your tongue is numb, you form a certain bond with those around you. Like other stressful and challenging environments, the cellar forges strong bonds of shared experience, tested by common struggle in the pursuit of a singular vision. Bo and I share a common lineage in that we were both, in our own separate times, assistant winemaker at Goldeneye Winery working for the great Zach Rasmuson. Our paths crossed in 2009, when I came back on board to manage Migration. I came back to a cellar (Migration was making wine at the Goldeneye facility) that was the same, yet different, and shaped by Bo’s jovial, fun-loving yet hard working spirit. I soon came to realize that he was also a cellar beast - conquering winemaking tasks with an unmatched vigor, with greater speed and attention to detail than any of his peers (save perhaps Pancho, another Titan of the Cellar who I will highlight in an upcoming post). It is an understatement to say that since then he has been a critical part of the development of Migration, helping guide the style and personality of the wines to where they are today. 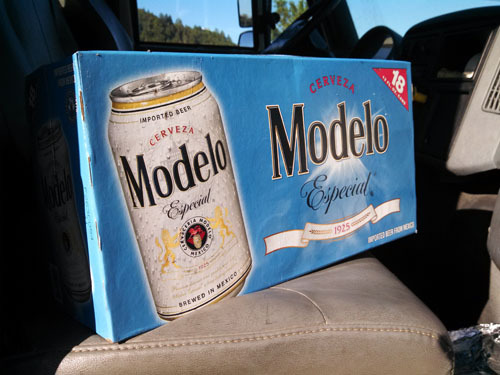 More recently, he has found success taking on additional responsibilities assisting Don LaBorde craft the compelling Decoy lineup. 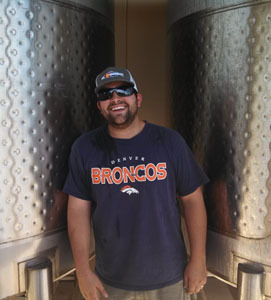 Beyond wine, Bo is a fly-fisherman, a lover of Kershaw knives, a spokesman for the great state of Colorado, and a mile-high supporter of the Broncos. It will be a terrible shame when they lose to the Niners in the Superbowl. 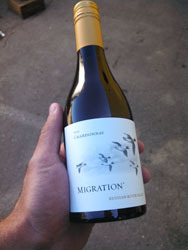 Check out this photo of the recently bottled 2012 Migration Russian River Chardonnay half bottle. Also, note the screwcap, which I am a huge fan of, especially for Chardonnay. Why? Interestingly, cork, like any other organic material is heterogenous in form, and as a result, different corks let more or less air into a bottle over time. While that may be desirable for some reds and whites, this small format Chard doesn’t really need any air, and may actually suffer from too much. So in this case, the screwcap makes a ton of sense for wine quality. Corks still make sense for larger format bottlings as the liquid to oxygen transfer ratio is higher. Also, I have to admit that a certain amount of laziness is impacting my fondness for this bottle. I would like to acknowledge one of the unsung heroes of Duckhorn Wine Company, Cian Woods, our Director of Operations, and his operations team, who are responsible for sourcing and organizing all the packaging that goes into making these bottles so beautiful, amongst many other things. Cian is pictured here meticulously placing case labels in the blazing hot sun. Note the cool safety glasses (operations is also in charge of safety!). © Copyright Migration. All rights reserved.